(Burlington, ON) – Nickel Brook announced today that its Uncommon Element Brett Pale Ale will be hitting LCBO and licensed grocery store shelves across Ontario starting this week. The beer, which won Gold at this year’s Canadian Brewing Awards, is one of the first LCBO listings in the growing craft beer niche known as “Funk and Sour” or “Wild Ales”, beers fermented with non-traditional yeast and bacteria and often aged in oak barrels. Uncommon Element is 100% fermented with Brettanomyces Drei, a yeast known for imparting complex aromas and flavours not found in traditional beer styles. Uncommon Element was one of the first beers brewed at Nickel Brook’s re-purposed Funk Lab facility, one of the largest breweries dedicated solely to funk and sour beers in Canada. Other beers that were born in the Funk Lab include Raspberry Uber and Ceres Cucumber-Lime Gose, both of which took home Gold medals at the U.S. Open Beer Championships this year. “We’re really excited to see how the category is growing in Ontario, and we intend to be an industry leader in funk and sour beers” says president and co-founder John Romano. 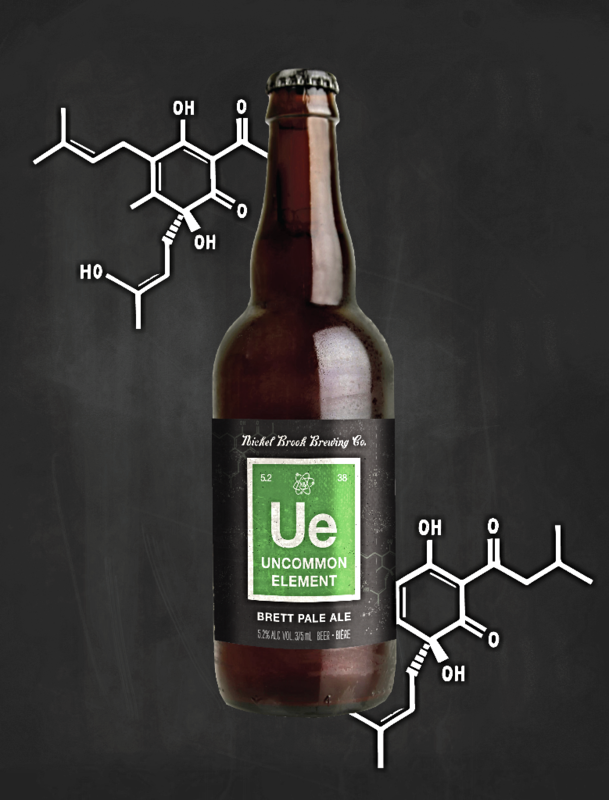 Uncommon Element will hit store shelves this week in 375ml bottles, with plans to switch to a larger 500ml format in the near future. Nickel Brook Brewing Co. was founded by John and Peter Romano in Burlington, Ontario in 2005. They have since expanded operations to Hamilton, Ontario when they co-opened the Arts and Sciences Brewery with Collective Arts Brewing. They are committed to using only the finest natural ingredients from around the world, and brew them in small batches for the highest standard of quality. Nickel Brook continues to be an award-winning Ontario craft brewery that constantly strives to push the boundaries of brewing culture.